Hello, we met again. This time I will share to you how to install notepad that similar with notepad++ that work on windows, and we can use software like notepad++ on Linux. Linux user that worked with this software is pretty sure know about it. this software is called notepadqq. Template and design of notepadqq is look like notepad++. Notepad++ is simply and free to use same as notepadqq. Notepadqq is also compatible with almost all language programing in this world. Basically this tool using uses Qt version 5.2.1. And Qt is a C++ toolkit for cross-platform application development. And this time I will show you how to installed on ubuntu. The first thing to do is we must open our browser. And for me I choose google search engine to searching that software. After we search and find it. then click link that contain notepadqq. And I choose to number one link position on google search engine. At the same time after link is opened (notepadqq.altervista.org/wp/download/) then follow instruction to installed step by step. Just remember on your mind, on Linux almost application is installed it using terminal or DOS (for windows). And in that link we have been suggested to use and open terminal. 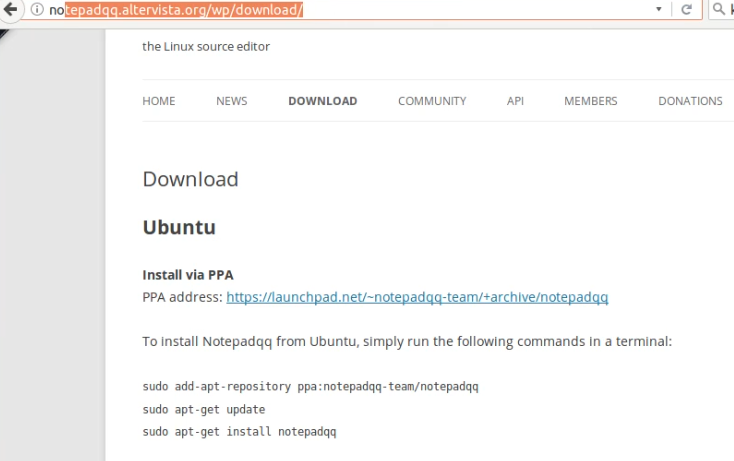 The next step is installing process completed then we run that software by searching using unity search on Linux , and we see that notepadqq has been installed and use it. That all for now, see you in next Linux tutorial software. 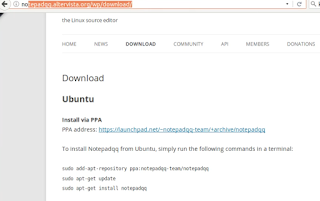 0 Response to "Alternative Way To Install Notepad++ on Ubuntu (Notepadqq)"